Since the beginning of the spring little bug has lost a couple of sun hats here and there. This morning the only one left was this one... a bit blah especially if you prefer pink and frilly. I have this hat and I have never thought of doing this. Great way to recycle (or upcycle as I like to call it.) 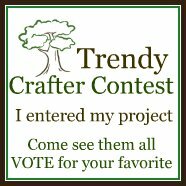 I love it and would love to see you post this at my linky party Upcycled Awesome! Just added my link. I actually do a lot of upcycling - One of my next posts will be about reusing old chair cushion - currently at the finishing touches stage. Very cute! What a great way to spruce up a regular old hat! How stinkin' cute! Thanks for linking up to Hoo's got talent! Oh, that is great! I love the flower. It's so cute. The little girl is pretty cute, too! Thanks for joining my link party on Friday! I hope you can join again next week with another fun project! Thank you ladies for your sweet comments! The project only took an hour or so. Taking the pictures was the biggest challenge. It's hard to convince a 4-year old to stand still for more than 30 seconds.